Base map dated May 1963. Item is a map showing the boundary of clearance areas for Project no. 1 area D-4, light industrial sites to be created by the clearance, and sites and buildings to be retained. Map has been annotated to highlight light industrial sites; some sites are marked with notes of unclear meaning. 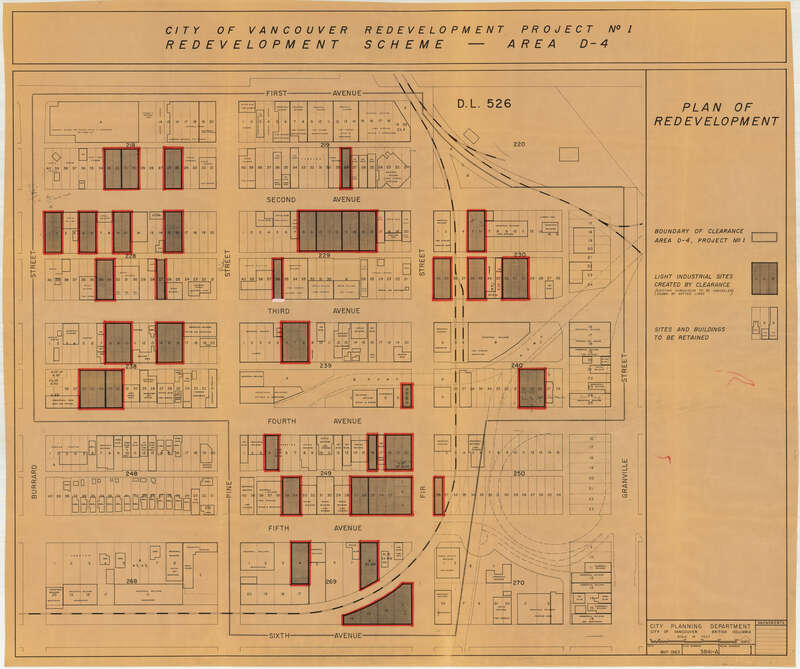 Base map covers the area bounded by Burrard Street, Granville Street, 1st Avenue, and 6th Avenue. Base map: File number 3841-A, Plan number 1.